Ranchi University conducts its Part I examination in the month of August. The University announces examination results of Part I online on the university website. 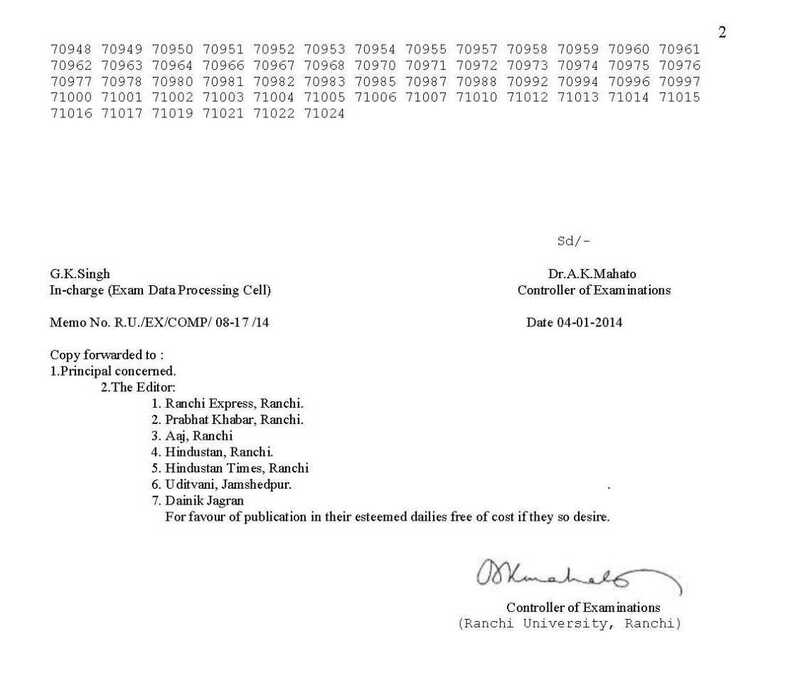 The results of part I exam are given below. PLEASE SEND MY RESULT OF B.A.PART I(EX-STUDENT) BEARING NO.11BA0452140 APPEARED IN AUG.2012 TO MY EMAIL ID akddmm1117@rediffmail.com urgently. 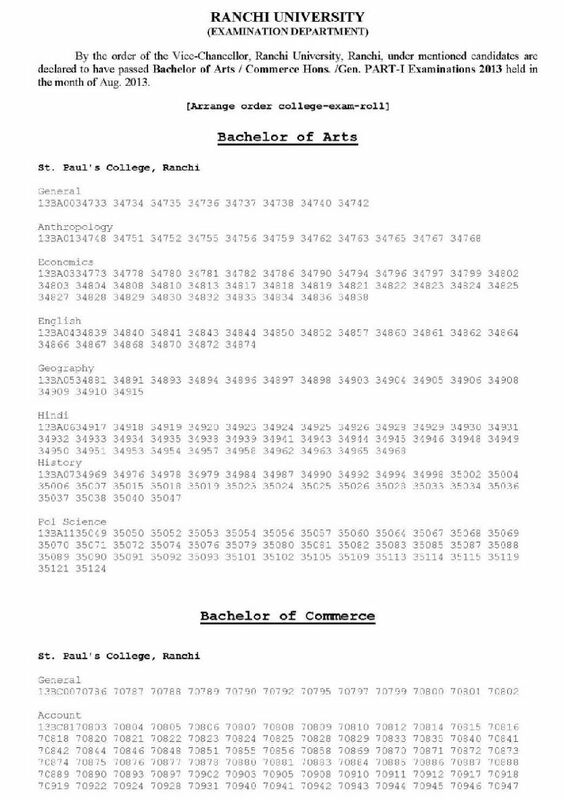 Plzâ€¦â€¦â€¦â€¦â€¦â€¦â€¦â€¦â€¦â€¦â€¦Give me the date of Ranchi University Part 1 Result and informed me on this E-Mail Ashok87@gmail.com when result announce?